The Menelaos Parlamas Museum of Rural Life & Theano Metaxa-Kanakaki Weaving Collection, housed in a 19th-century stone-built olive mill and house (donated by the Parlamas family), was founded by the Society of Cretan Historical Studies in 1988. 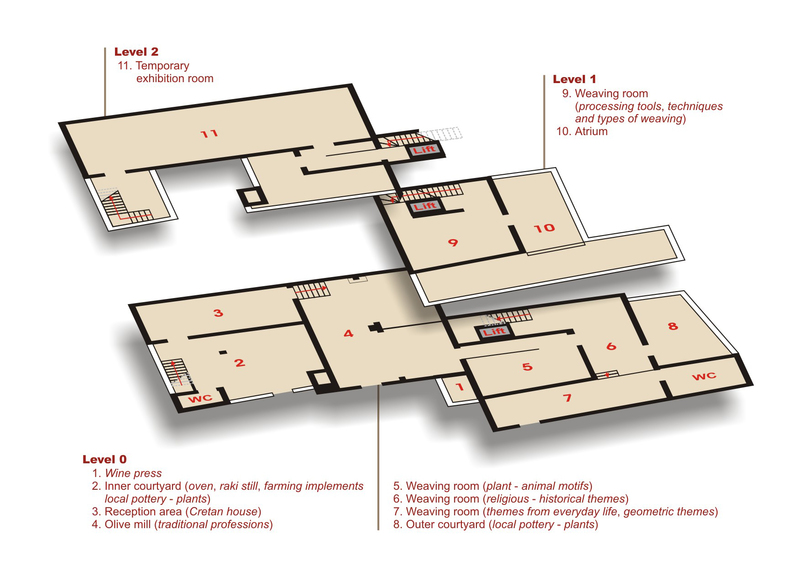 The Museum Collections are organised thematically (wine press, raki still, oven, agricultural implements, Cretan house, smithy, cooper’s shop, carpenter’s shop, olive mill, weavings and weaving tools), centered around the Cretan countryside and objects dating from the late 19th to the mid-20th century. In 2011, following an extensive renovation and expansion (ROP of Crete), the Museum acquired new weaving wings with textiles from the Theano Metaxa-Kanakaki Collections. Abundant visual material and digital media offer visitors a wealth of information and documentation on the exhibits. The Museum is accessible to visitors with disabilities and has a small shop, a temporary exhibition room and rest areas.